Wet sites in forests, especially around the shores of vernal ponds and wet depressions, along permanent or temporary streams, and in seeps. A large handsome native species that has become exceedingly rare in recent years. 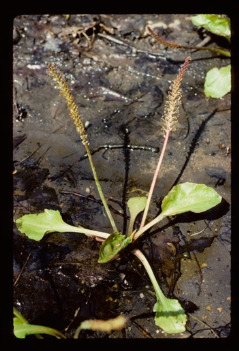 Long thought to have become extirpated in Michigan, until the first plants to be seen since 1925 were discovered in Hillsdale Co. in 1990 by W. H. Wagner & P. W. Fritsch, along (and in) an ephemeral stream in rich forests, a typical habitat. In 1995, rediscovered in Ionia Co. by F. W. & R. B. Case, in deep floodplain forests with Saururus and now known from several additional locations. The large fleshy roots of this species are reputed to have great medicinal value. MICHIGAN FLORA ONLINE. A. A. Reznicek, E. G. Voss, & B. S. Walters. February 2011. University of Michigan. Web. 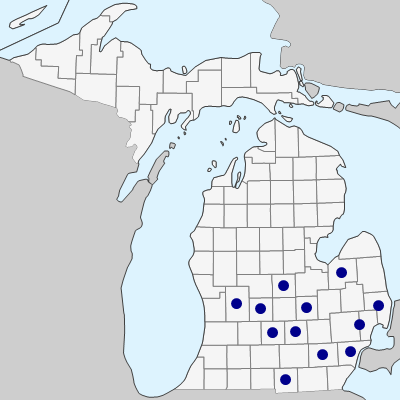 April 21, 2019. https://michiganflora.net/species.aspx?id=1964.